Ever since Nikon released their new camera bodies last year I have been debating which body to upgrade to. I am an avid night photographer and have strong interests in how the bodies will perform for this specialized field. 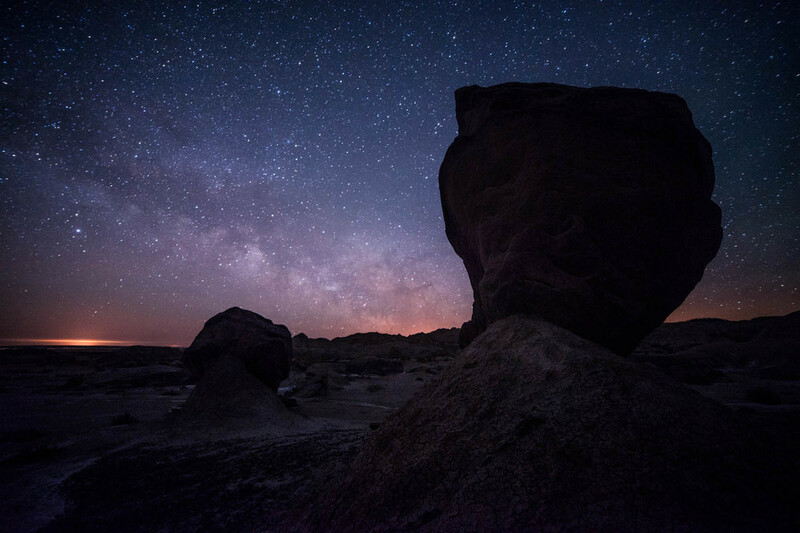 This style of night photography (especially for capturing the milky way) requires extremely high ISO’s of at least 3200 and up to 12,800. With the D700 I am generally limited to ISO 3200 and sometimes push the limits of the camera at ISO 6400. 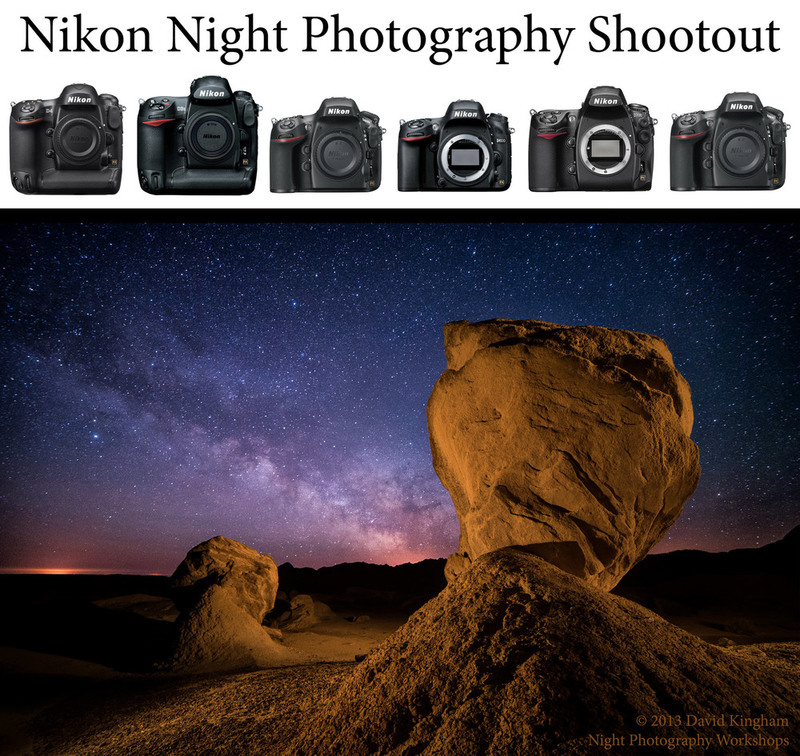 When BorrowLenses asked me if I had any ideas for a blog article I knew this was my opportunity to find the ultimate Nikon camera for night photography. 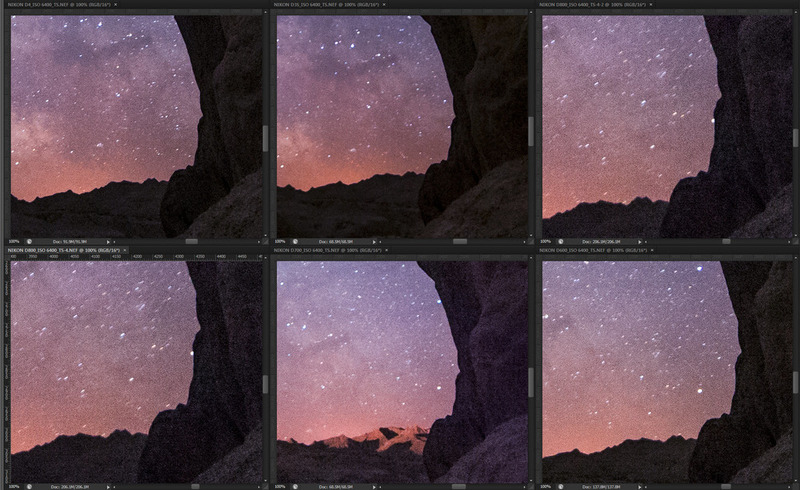 For night photography full frame is the way to go, so I selected the following bodies for the ultimate showdown. I left out the D3x because it is not in the same league as these bodies. 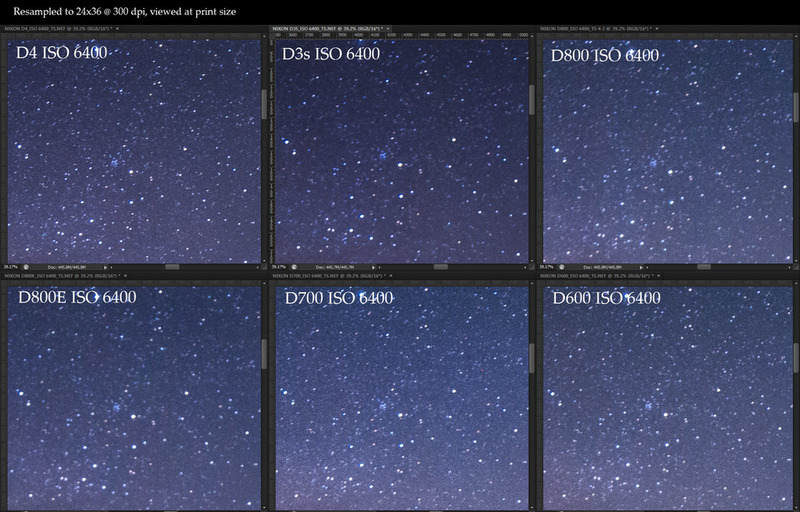 The high ISO performance is not stellar, it would fare worse than the D700 did. 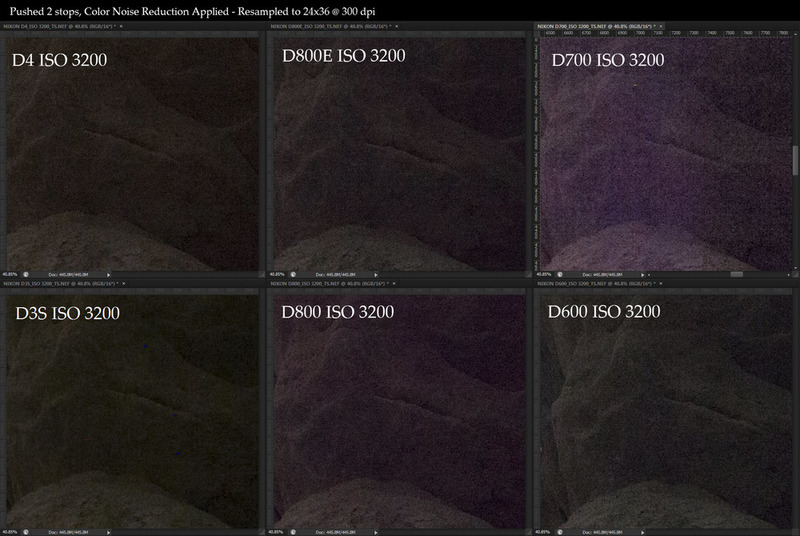 I also left out the D3 since it is the same sensor as the D700. If you shoot Canon don’t feel left out! My friend Ben Canales has already got you covered! First off I wanted to give my initial impressions of the different features and handling of the bodies. Each body is designed for a different use, so they have many differences and quirks. I will only be covering what is relevant for night photography, so you won’t find anything here about frame rates, bracketing, etc. Let’s get to it! The backlit buttons on the D4 are the greatest idea ever. This feature made it my go-to camera, every time I switched on the lights I grinned a little and fell in love with the D4 even more. Granted this would become less important as you learn the controls of your camera. I can operate my D700 blindfolded because I have memorized where every button is, but it is still hard to hit the right buttons in the dark with gloves on, the lit buttons made this much easier. The small info rear lcd on the D4 and D3s was very handy for changing ISO and white balance on the fly, I only wished it showed shutter speed and ISO as well! Everything about the D4 controls felt right. The new XQD card slot on the D4 is not a great addition in my opinion, I would prefer 2 CF slots, but I understand they have to move to future technology at some point. Zooming in on a photo with the D3s is a two handed operation, you have to hold down the normal zoom button and scroll the control dial. I despised this feature working on a tripod, I can see where this would work okay working hand held, but I much prefer the one handed operation of every other model. Also, the OK button does not return you back to a fully zoomed out image like every other model, you have to scroll all the way back out. These changes were obviously not well received, as the D4 has gone back to having two dedicated zoom buttons and the OK button works again. The Live View button on the D3s was the hardest to find out of all the new models (the D700 does not have a live view button, but I have programmed the AE-L button to live view) I constantly had to turn on my headlamp to find it. As expected the D600 was the least enjoyable to use due to the lack of dedicated buttons, but this is quickly overcome and overall it’s not badly designed in any way, it’s just not as pleasing to use as the other bodies. Zooming and panning works as expected and is very snappy, there is not a dedicated large OK button, it’s been relegated to the center button of the d-pad, not terrible but a little kludgy to use with gloves on. SD only card slots is the other downfall, thankfully SD cards are half the price of CF cards, so investing in new cards isn’t a huge problem. 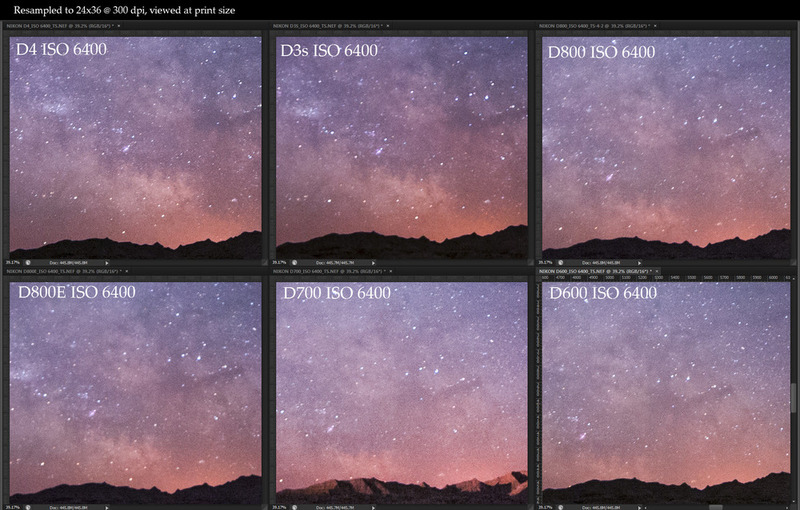 One thing I love about Nikon is the Virtual Horizon (VH) feature. I use this constantly to quickly level my camera, which is especially handy for doing quick panoramas without a panoramic head. Nikon is obviously trying to figure out the best way to implement this feature because every single camera is different! I assigned VH to the Fn button on all the bodies, when the Fn button is pressed they all stay in this mode until the button is pressed again, except for the D700 which you have to hold down to keep active. D700: Uses a simple side to side level that you can see in the viewfinder and top LCD which uses the meter gauge, this works great for night photography. D3s: Nearly identical except the gauge in the viewfinder has been moved to the right, is vertical and larger, I would call it a small improvement and still works very well. 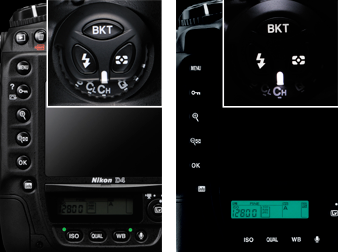 D600: Works the same as the D700 in the viewfinder, but it does not show on the top LCD because they removed the meter! The top lcd meter/level is very nice to have when you can’t look through the viewfinder for some reason. D4: Has an interesting implementation of the VH, the focus points light up in the viewfinder and change to show if you’re level left to right and the large meter similar to the D3s now shows you if you’re level up and down, a very creative solution that works well. They did remove the VH from the top LCD panel though even though there is a meter that that they could have used, possibly the only negative of the D4! D800: Has a completely different way of showing the VH, they have added dedicated displays in the viewfinder just for this information. My first reaction when testing this in daylight was pure joy, a perfectly implemented feature. I was disappointed when using this at night though, this is due to the fact that these displays are not lit up, they are shown the same way the focus points are, a dim gray until you activate the meter then they are displayed in red but only for a moment. So you are forced to continually half press the shutter button to reactivate the meter until you have your level set, the top LCD display has been removed as well. 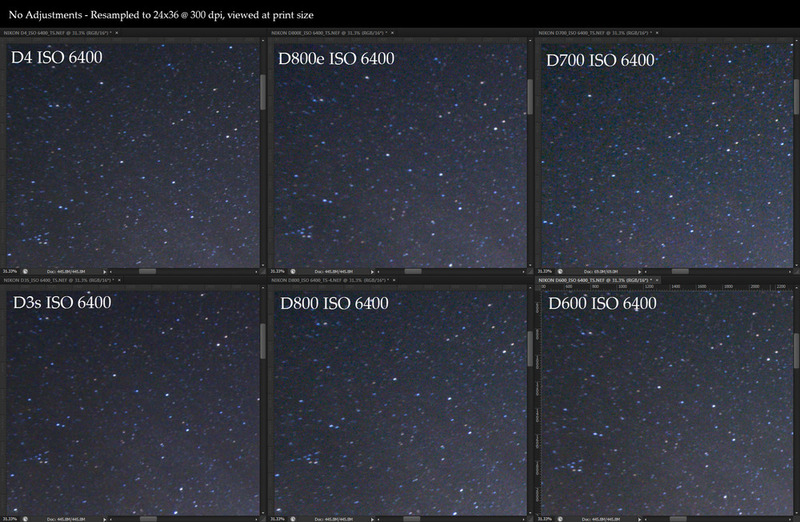 Overall the D800 has the worst implementation for night photography, yet the best for daytime use. This could easily be fixed with a firmware update by simply having these activated (displayed in red) when the Fn button is pushed. Of course the other option is to use Live View which you can set to display the VH by pressing the info button. 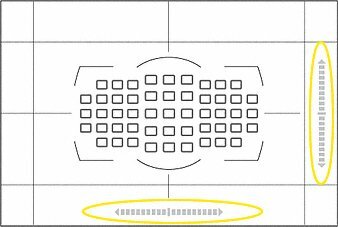 This works very similarly on all the bodies, pitch and roll is visible in live view on all the bodies except the D700 and D3s. I generally try to avoid using Live View for anything beyond focusing because of the drain on the battery. 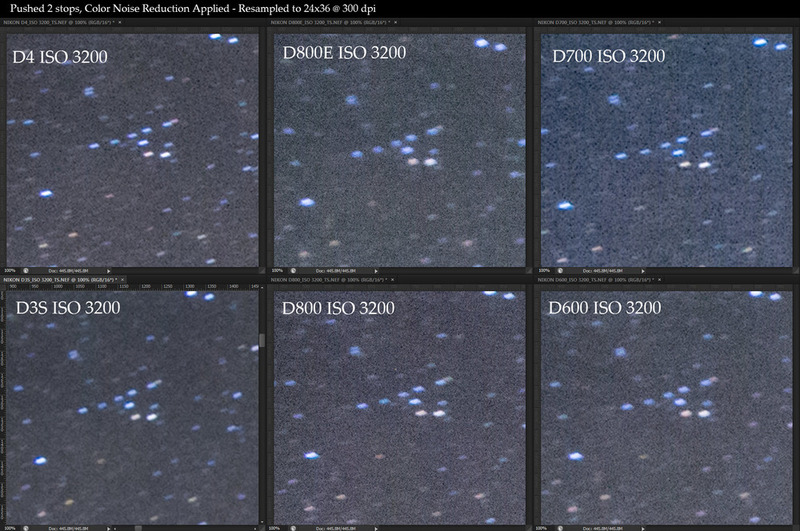 This is generally what I defaulted to on the D800 because of the display issues. My preferred method for focusing at night is to use Live View, zoom into a star and manually focus until the star is a sharp point of light. I have found this to work well on all the bodies when using a fast lens like the 24mm 1.4 because it lets in more light. When using a 14mm f/2.8 lens though, I have found that only the D4 and D3s have high enough ISO capability to show the stars to focus on, a major plus in my book! Handling wise the winner is the D4, it’s nearly perfect. With that said, the other bodies are all very good and most things are small nits. I would be happy with any of them! On to the real meat of the review! Due to the differing megapixel counts of each camera I struggled with finding the best way to compare the images. Do I downsample to the smallest size or upsample to the largest? What is the intended use, web or print? What size? I quickly realized there was no good answer, so I tried to provide a little of each. I am also providing full resolution jpegs that have not been resized or edited so you can compare for yourself. 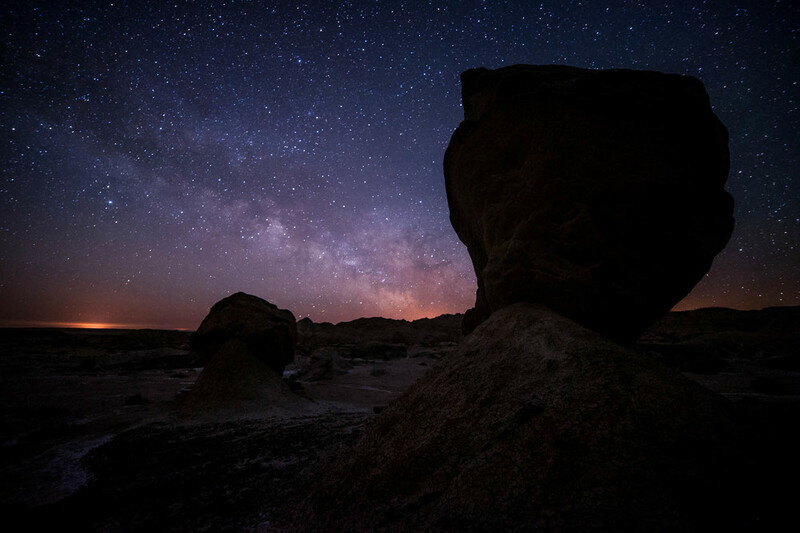 Note: In some shots the stars are sharper than others, this is due to slight differences in focus and not caused by the sensor, so the sharpness of the stars was not taken into consideration. Note 2: The light on the mountain in the D700 shots are from a passing train, it does not have amazing shadow detail! 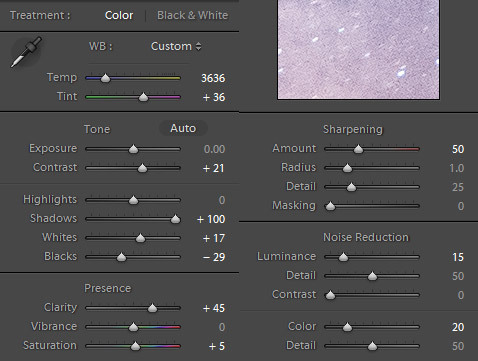 Unless noted otherwise, all the images have been processed in Lightroom 4 with the settings below. The shadows slider was pushed to 100 to show what shadow detail can be extracted. All things considered I crown the D3s the king of Nikon night photography. Such an amazing camera at high iso, the most important factor to me was the very subjective category ‘Most Pleasing Image’. Every time the D3s image came up on the screen I thought wow this looks great! The color and contrast of the images simply stand out more. Unfortunately the D3s cannot be purchased new because it has been replaced by the D4. They can be found on the used market though for $3200-$4000. Or you can rent it from BorrowLenses! When price is taken out of the factor the D4 is king, it is incredible in every aspect. It wins in overall performance hands down. I found the images to be consistently clean, detailed, with pleasing colors. If money is no object, get the D4 and never look back, it is truly exceptional. 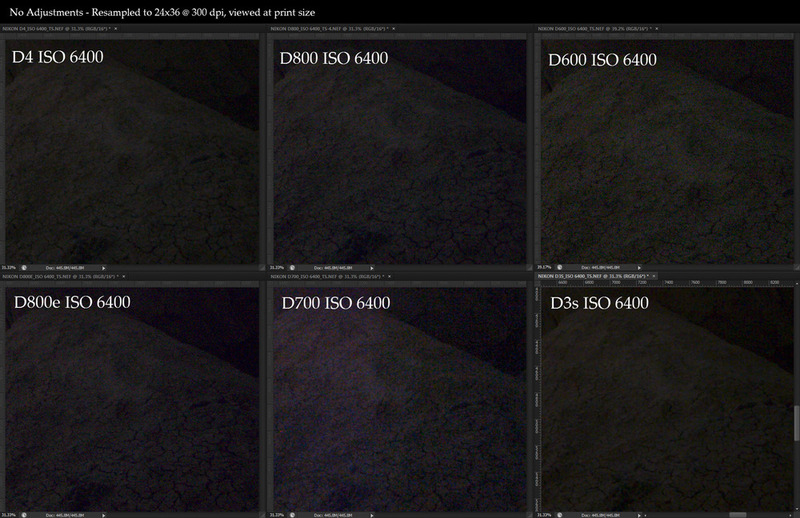 In my opinion the D600 is the best value for the quality. The results were consistently close to that of the D4, for 1/3 of the price it can’t be beat. The D700 is the cheapest option (bought used) and is still a great option, it’s what I’m currently using! It is getting a little long in the tooth though, the new technology is stunningly better above ISO 3200. The D700 still fares very well at ISO 3200, but I find myself using ISO 6400 more and more often. 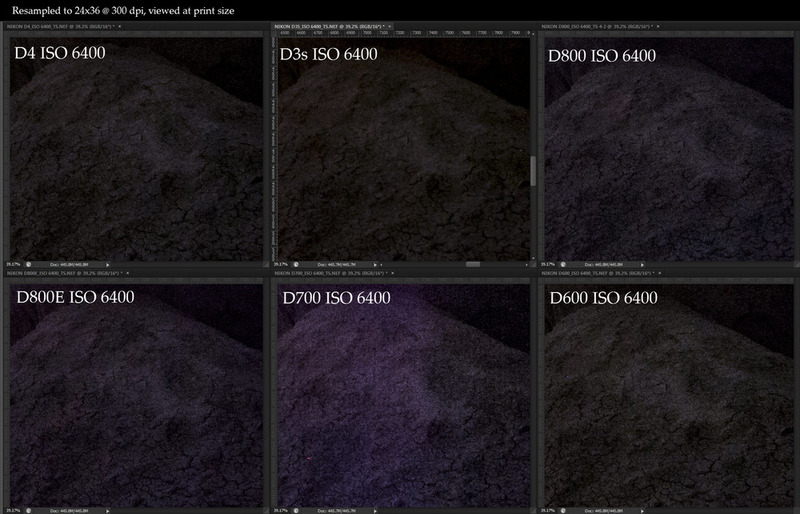 The D800E has a slight advantage over the D800, it consistently had less color noise and the D800 has a slight purple tinge in the shadows that the other bodies did not have. 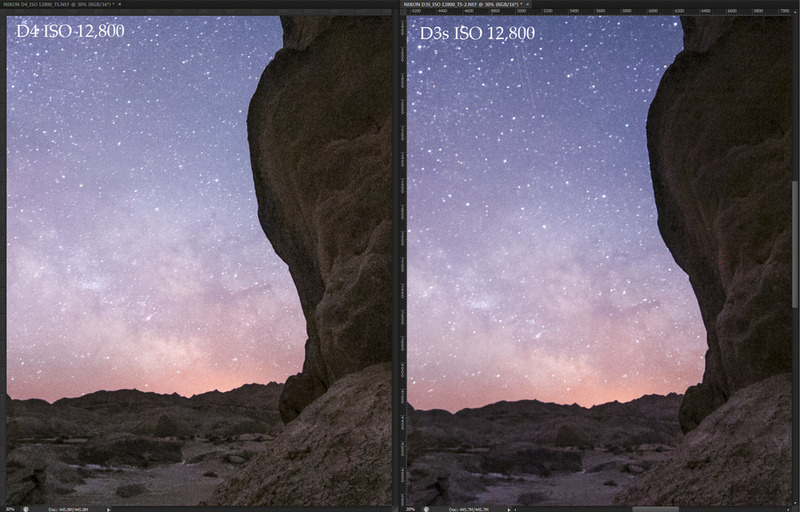 Extreme High ISO – the D4 produces an exceptionally clean image at ISO 12,800 with slightly more detail than the D3s. I’m actually in the market to upgrade from my D700, so what am I going to buy? 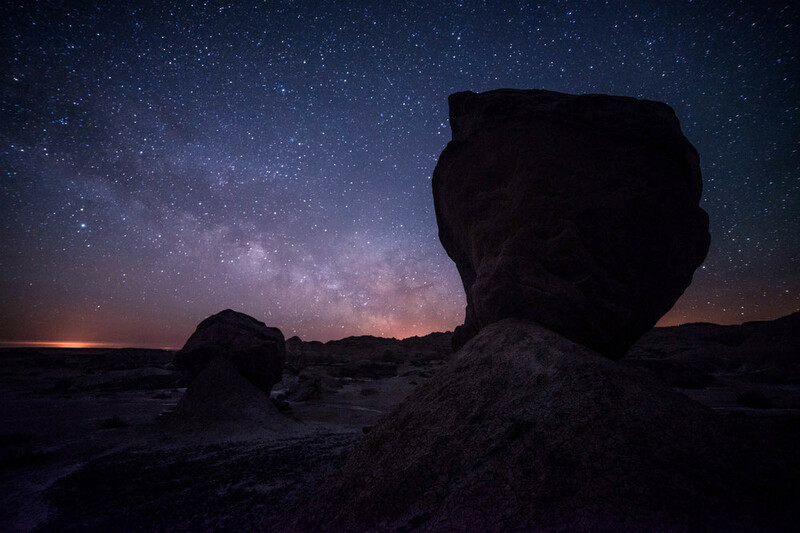 Given the fact that all the new bodies perform very similarly for night photography I have to consider other factors that are important to me. I do a lot of landscape photography, so resolution and dynamic range is very important. I do a lot of hiking and backpacking, so weight is a big factor. I’m a full time photographer, so price is a huge factor! Taking all of that into account I will likely purchase the D600.